Moree galloper Track Flash has consolidated his position on top of the leaderboard for the 2018 NSW Picnic Champion Series following his victory in the Boggabri Business Houses Wean Picnic Cup (1600m). With just one picnic race meeting remaining (Cobar on Saturday 25 August), Track Flash (39 points) has a five-point lead on the Neil Osborne-trained Diamond Charlie who won successive Picnic Cups at Yass, Crookwell and Cootamundra in April before enjoying a break. That horse is expected to resume from his 3½-month lay off at either Canberra on Friday or Sapphire Coast on Sunday en route to the $50,000 NSW Showcase Picnic Champion Series Final (1400m) at Dubbo on Sunday 16 September. Track Flash, prepared by Peter Sinclair, has been a revelation on the picnic circuit with four wins from his past five outings. 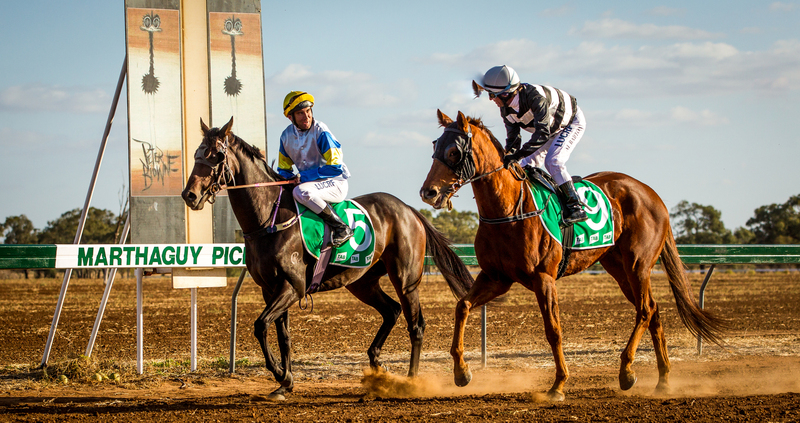 Those wins having included Picnic Cups at Marthaguy (Quambone), Moree, Mallawa and Wean. His latest Wean victory - as the $2.90 favourite - saw him carry 69kg with regular rider Ricky Blewitt aboard to narrowly defeat Rena's Lad (Ridge Wilson, $6) and California Raider (Scott Sweedman, $4.20). Sinclair told the Northern Daily Leader: "I'm really happy with the courage he showed to win the race with that weight. He's a really honest horse and Ricky rode him really well." The Rodney Robb, Nyngan-trained Bulbadah (Ridge Wilson, $3.50) followed his Duck Creek picnics win with a narrow victory at Wean from Moss Heart (Katie Spalding, $4.60) and favourite Marine Corps (Ricky Blewitt, $1.80) in the Penryn Narrabri Business Houses Class 2 (1200m). Bulbadah is now on 28 points.